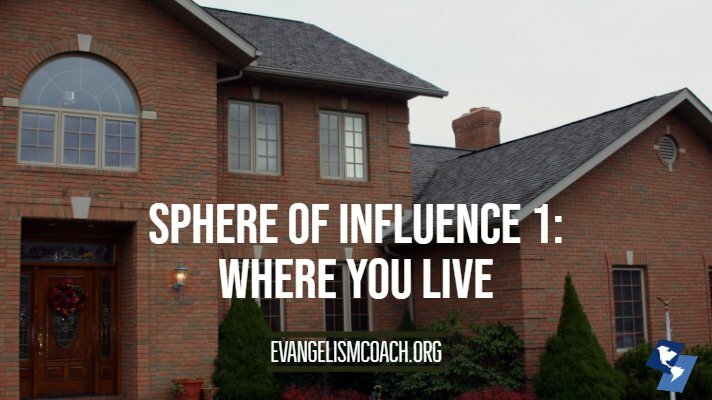 It is the spheres of influence in your ordinary course of daily life. All of us have them. The concept may not be new, but as you spend time pondering and evaluating these three spheres, I am sure you will find some non-Christians in your midst with whom you already have the start of a friendship. Members of your own household (kids, parents, siblings). Immediate neighbors and their families or households. These may be the hardest to reach for Christ. I’ve met many wives still praying for their husband, grandparents praying for prodigal grandchildren, and nephews praying for their uncles. From my own life, we began praying for all the families on our cul-de-sac during the 5 years we lived in one subdivision. Opening our house for Bring your own side dish – grilling events. Parties around the Superbowl, Christmas, Memorial and Labor Day. Talking with the neighbors while doing exterior work around the property (mowing the yard, raking leaves, etc). Eventually, those kinds of friendships opened up to more personal discussions on life and eventually spiritual matters. At the end of 5 years, no one had come to faith directly as a result of our efforts. However, within 2 years after we had moved, 3 of the households found faith and started attending church somewhere. We attribute that to the hours of prayer, hours of relationship building, and hours of deep conversation that occurred while pausing our leaf raking. . .
For seven years we live in a condo tower. 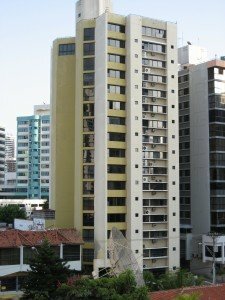 The turnover in rentals in the building keeps changing the make up of the residents. During the first 18 months, we got to know the family we share a floor with. We’ve been praying for them, for their needs, and doing life with them. Going to the beach as families, celebrating birthdays, kids playing together. Simply doing life together. The friendship went deep, and the struggles of life are beginning to be shared. 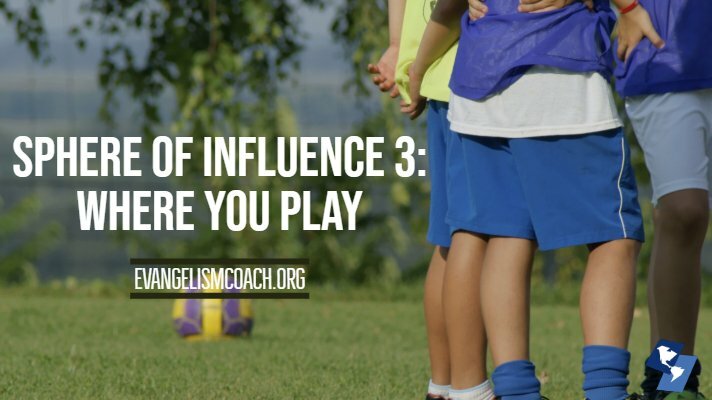 We have liberty to share what God is doing in our life, how we are aware of God’s presence in our midst, and how God is providing for our needs. While we have not prayed with them for their needs, we certainly are praying for them. With each passing week, more relational bonds are built between our families. Our faith has been on display: praying for our kids during birthday celebrations, grace at meals, inviting our neighbors to church, our small group. Their son occasionally comes with us, and even attended a vacation Bible school with our kids. He talks with my son about who is the Lord and why are we living where we do. The curiosity of our family practices begins to raise questions and provide opportunity to talk about the relevance of our faith to our daily life. Why do we invest our time in church? What does “Honor thy father and mother” look like? How to we still have peace in our heart when life hurts? Why do your kids have such a servant’s heart that my kids don’t? These are natural conversations that are occurring and give us ample opportunity to demonstrate the relevance of our faith to life. Our neighbors are on a journey towards Christ. We walk this path with them because we took the time to get to know them. In each place I lived, I would work at befriending a neighbor. Over time, I’d see or hear things about their spiritual condition and that would guide my prayers for them. Likewise, when new neighbors moved in, I’d start to pray for them and then get to know them. 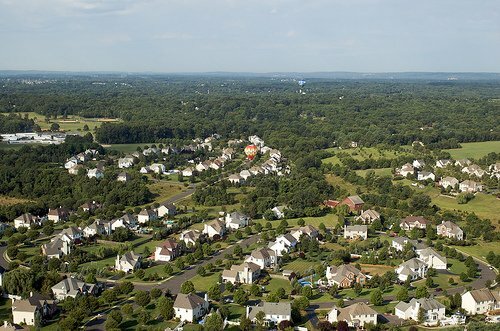 Several years ago we moved into a planned subdivision that hosts over 5,000 homes. I was a church planter launching a church in a nearby town and so I was “too busy” to get to know my neighbors. However, that didn’t stop me from encouraging my flock that they should be busy inviting their friends, relatives, acquaintances, neighbors, and coworkers. And I personally spent a good bit of time in the area near the church doing the same. But after living in my neighborhood almost two years, the Lord convicted me that I had a nodding acquaintance with only one neighbor and didn’t know the names of any of my neighbors. I also knew that in my section of the nation there was about a 97 percent chance that each of my neighbors were unchurched. I decided it was well past time to do something. And so I started praying for opportunities to meet them and I began to make appearances at timely intervals in order to meet those who lived around me. He goes on to discuss how he connected with one of his neighbors. people you regularly share a work-meal with. People from other divisions you regularly meet every few months. I think of some networking meetings after hours where conversation did get more personal and off topic from work. I remember seeing people at such meetings once every two months at dinner when I worked for a global corporation. These were natural conversations where spiritual subjects did come up. 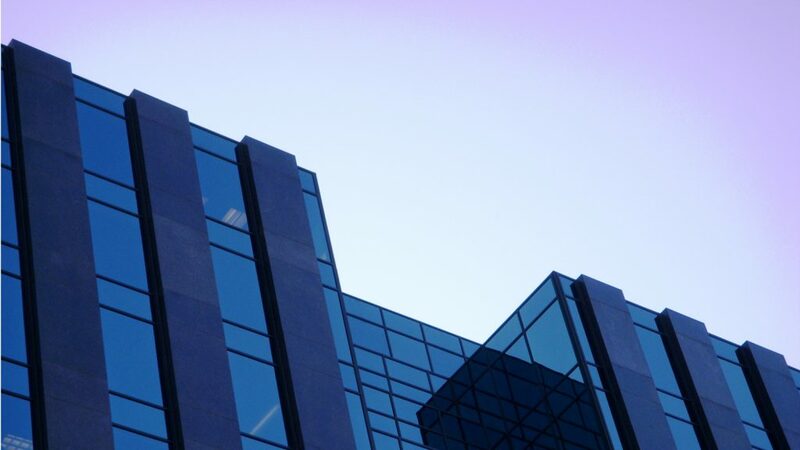 You may have work place rules about sharing of personal faith stories and conversations. You may also have some deepening friendships with co-workers that blend personal lives where you have liberty to talk about matters of faith. What about pastors who work in the church? 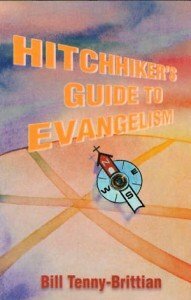 I have been in pastoral ministry of some kinds since the late 1990s. 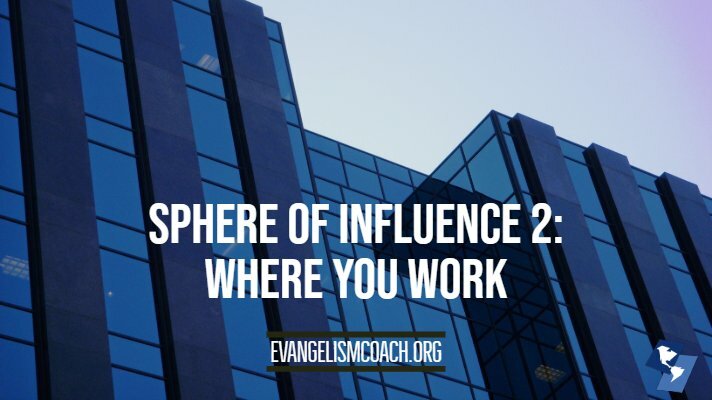 The biggest challenge to small church pastors is spending too much time in the office, surrounded by your church-going employees and visiting with congregation members who come to see you. The biggest challenge to large church pastors is the executive leadership time to make sure every ministry keeps runnning smoothly. Like small church pastors, much of the time is office time. Here is what you’ll need to figure out, or find a rhythm that works with the needs of your church. Starbucks and Barnes and Noble became my second office. It took only a few weeks before strangers and staff started talking with me and becoming friends. People you meet at your kid’s sporting events. People you play a sport with. People you consistently see at the same stores you visit. People in your volunteer organizations. For example, I used to visit a local Dunkin Donuts nearly every weekday morning to have my quiet time. (No worries, I usually only drank a cup of coffee). Within a few weeks, I noticed the same group of people meeting and talking for several hours each morning (they arrived before I did, and most left after I did). The group would ebb and flow as people would visit for a while, then leave to their morning obligations. But several were there the entire time, nearly every day. It wasn’t easy to break into this group, rather, they had to let me in. This is where prayer helped prepare the way. After a while, they initiated conversation with me, as another regular attender. This led to several new relationships, some of which continue to this day, and some of which have provided some business for us. Since I have moved to a different city, these folks are not in the course of my life anymore. I still see a few when I visit and have had the opportunity to talk about my faith and calling with several of them over time. A friend of mine serves as volunteer for the school’s PTSO. This puts her in contact weekly with over 40 other parents, and regular contact with many more. One purpose for volunteering with this group is to build relationships with other parents that can provide the natural opportunity to talk about faith. Some of those relationships are getting deep enough to talk about personal things. One weekend, several of them have registered to attend one of my church’s outreach events. This event has nothing to do with the PTSO, but the relationships built during the year and prayed over have helped several women to say yes, I’m coming. 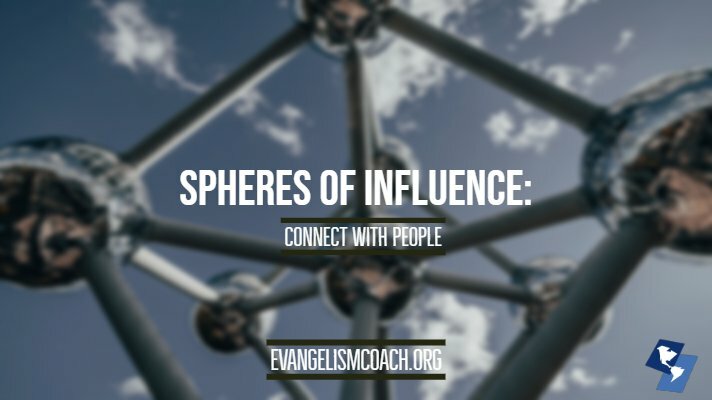 Take a few moments and pray through these spheres of influence. Who does the Lord bring to mind that you need to deepen a relationship, strengthen a connection, or pray for the an opening to talk about your faith? Who do you see? Do you have the eyes of Jesus?